Marketing your events has changed drastically over the last few years. With a billion and one tools available, we’ve put together a list of 11 of the best (mostly free) ones to help you fill your event to the rafters. 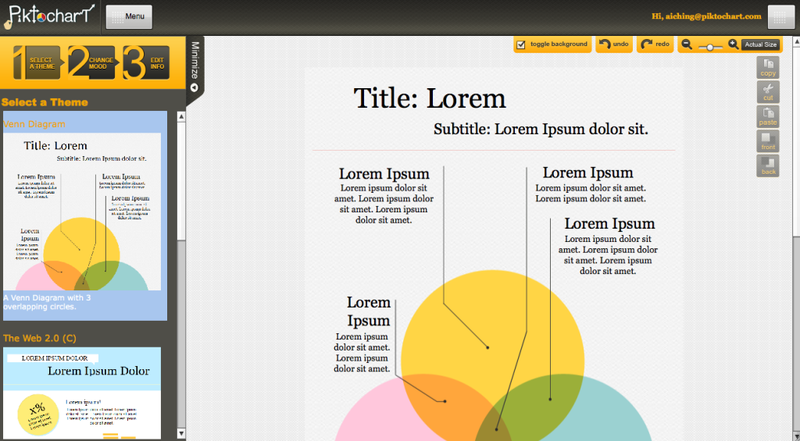 Piktochart helps anybody, without any design skills, create visually appealing infographics. Whether it’s the “Top Travel Hacks” or “Your Brain on Beer VS Coffee“, people can’t resist clicking on infographics. It’s no surprise they became one of the top content marketing trends for 2014 and that’s set to continue in 2015. Create an interesting infographic related to your event; not even necessarily directly about your event, but about what your event attendees care about. The best infographics seem counter-intuitive or have a novel premise, so don’t just put out any old graphic that nobody will be interested in. Get your formula right, and it can be one of the strongest drivers of traffic to your event website. Did your attendees enjoy your event, or find it useful? How do you know? The average organiser will talk to a handful of people and get a sense of what the general feeling is. A great organiser will follow-up after the event with a survey and get meaningful, quantitative and qualitative data. The best way to do this is with a tool like SurveyMonkey. 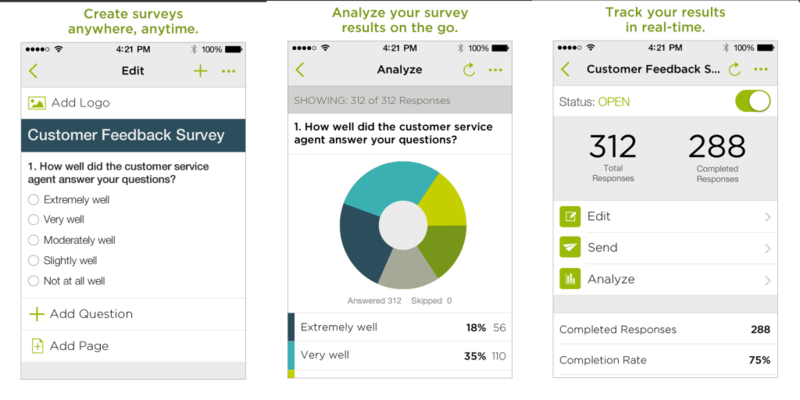 Every event should end with a follow-up survey that you can use to gauge how successful the event was from an attendee perspective and learn how to improve for next time. Make the survey short. Aim to make it a 2 minute survey, and certainly less than 5 minutes. When you’re sending it out (SurveyMonkey integrates with email services like Mailchimp), highlight that fact in your email title. You’d be surprised how many people will complete your survey when they know it won’t take forever. SplashThat helps you create ridiculously good looking event websites. It also functions as a ticketing service, but that’s optional, you can use an external service if you want. Their drag & drop site builder is the easiest I’ve ever seen, on any service, and the end result is extremely slick. If you’ve ever seen a “Tweet Wall”, you know how great of a tool they can be to engage your event attendees. 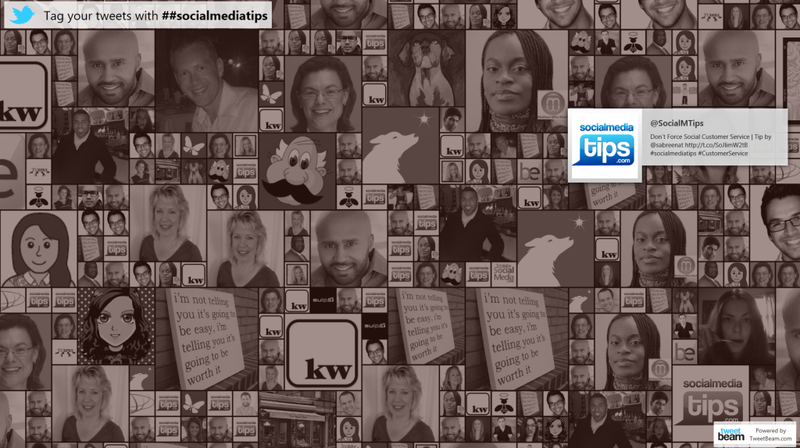 Tweetbeam does exactly that – a great looking Twitter wall that you can display at your event on a monitor or big screen. Don’t worry about people writing inappropriate comments – there’s a full set of moderation options available. Tweetbeam also supports Instagram, which is particularly good for events where food is involved. If you don’t have a big screen at your event, simply displaying a tweet wall in your office in the run up to the event can be an excellent way to keep you and your colleagues on top of your social media conversation. You’ve heard of Eventbrite, of course. And that right there is one of the key advantages of using their system for your ticketing: millions of people globally know and have used Eventbrite to buy tickets. With over 10 million installs on Android and iOS devices, Eventbrite is not just a ticketing service, it’s a distribution and marketing channel for your event. What about if you run a free event, or one that doesn’t require registration at all? Ticketing services like Eventbrite can fall short, because making people register adds friction to the process. 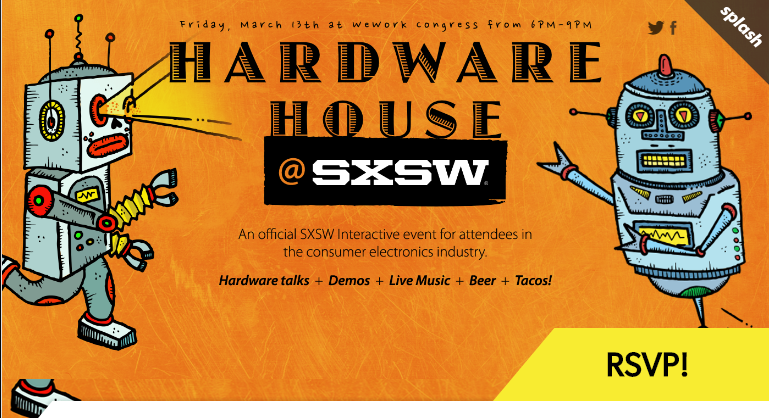 This is where Attending.io comes in – a service designed specifically for free events. 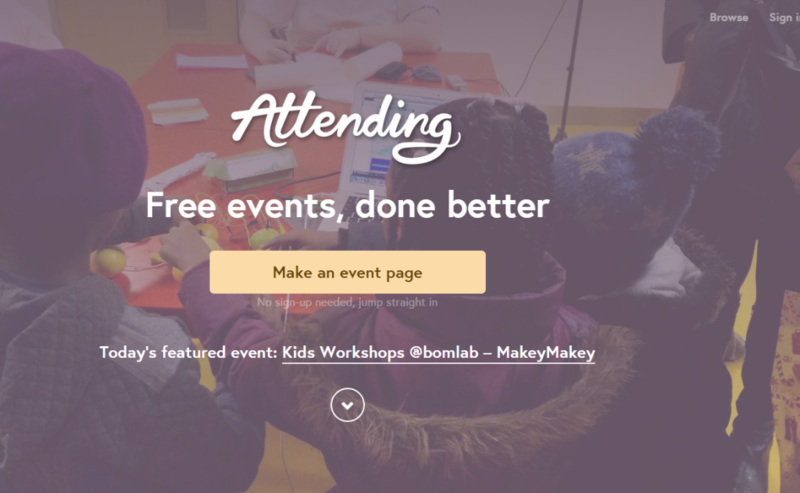 Attending.io lets you create an ultra simple “I’m going” page for your event attendees, no registration required. It’s ideal for situations where you have a very casual event that you would still love to know an estimated attendance for. How awesome would it be if you knew who actually read the email you sent, and when? 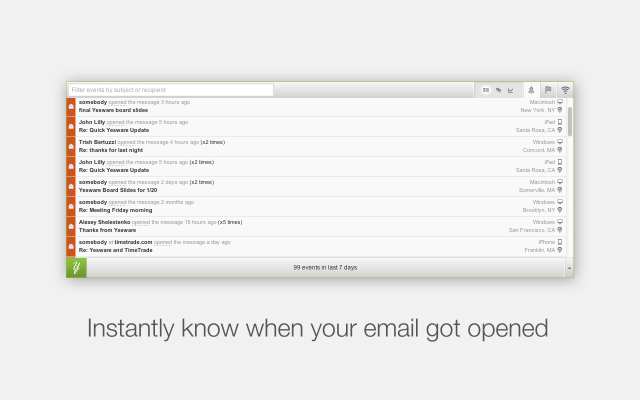 Well, Yesware does exactly that, for all mail sent through Gmail. It works as a Chrome plugin or mobile app. Okay, so you already know you should be sending out event information via email before and after the event. But what if you could send a thank you email automatically to attendees immediately after they purchase a ticket? Or better than a thank you, send them a small discount coupon so they can get their colleagues or friends to register so you virally drive ticket sales. 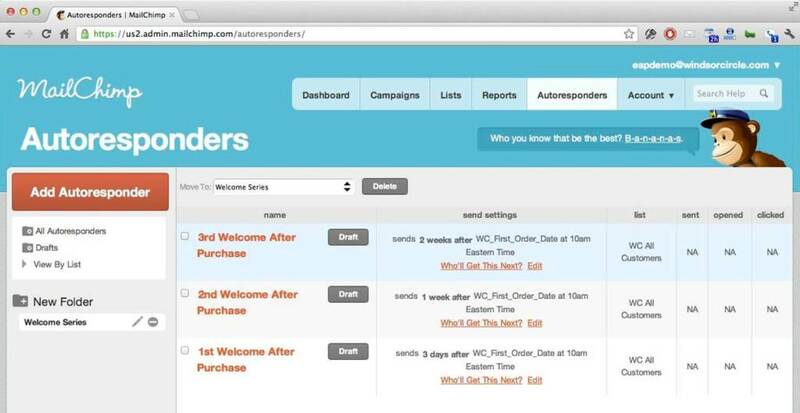 Enter Mailchimp and their “autoresponders” feature that can be used to automatically send emails in response to certain criteria. If you’ve been keeping up with your social media marketing trends, you’ll know that text-only posts are dead. If you want your message to be engaging, it pretty much needs to be an image. 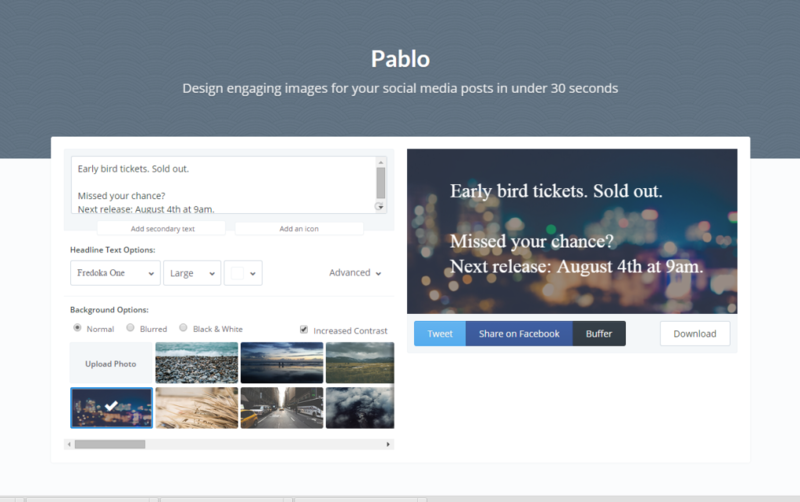 Pablo by the folks at BufferApp helps you create these images with no graphic design skills required, in a format and size that’s perfect for Facebook and Twitter. TweetDeck is Twitter on steroids. If you’re using Twitter as part of your job (and as an event marketer, you should be! ), then Tweetdeck adds the automation and filtering features you need to be maximally effective. If your event can benefit from broad exposure on the web, then Evvnt can save you days of effort submitting your event to the various listing sites. Even if you’re not running a big or public type event, simply being listed by these event sites will at the very least improve your search engine ranking, and is a form of SEO itself. Got a favourite tool that we’re missing? Post it in the comments. 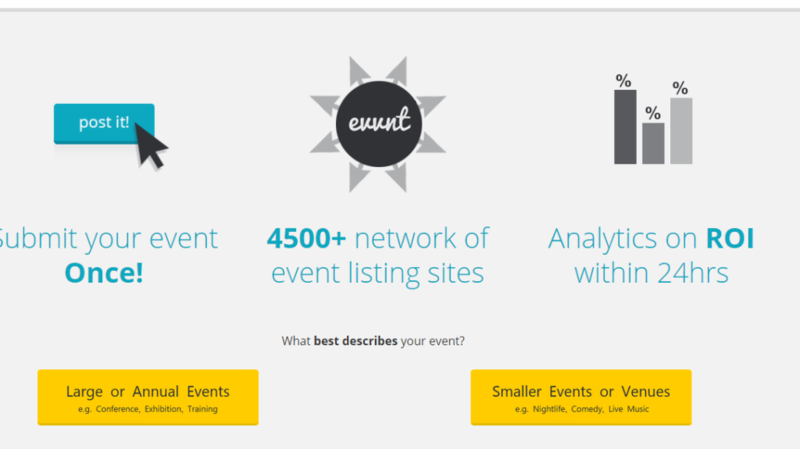 We’re working on building the ultimate list of tools for event marketers!